Beautiful Drawings using interesting backgrounds that would otherwise be thrown out. Italian freelance Artist Martina Billi, is now living and working in Madrid, Spain. 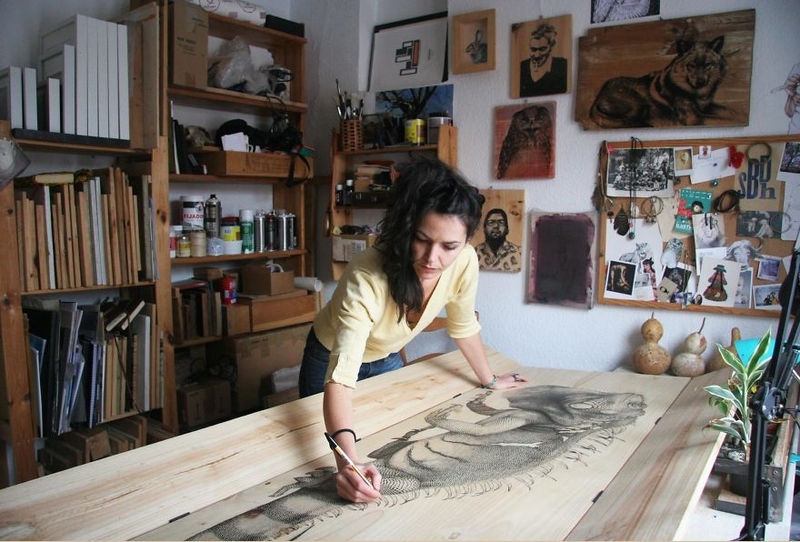 Since 2013 she has bring creating art on recycled planks of wood, using various mediums, including: Chinese ink, pen, screen printing and pyrography. 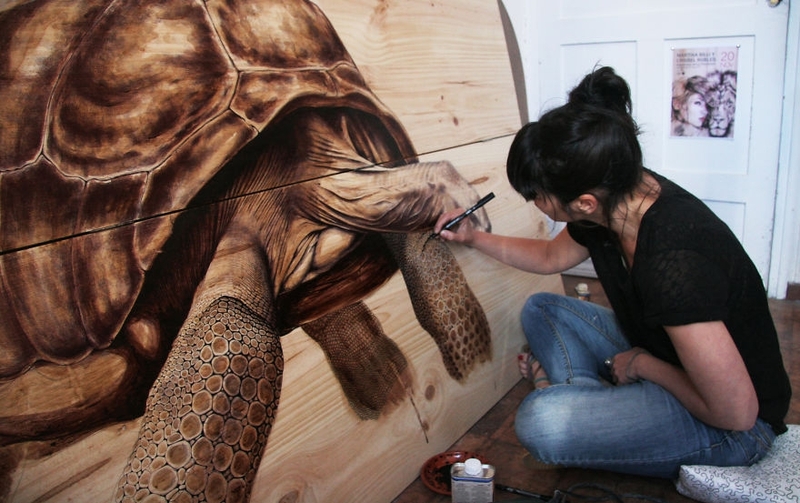 Her artworks mainly revolves around the themes of animals and nature, both subjects are close to her heart. 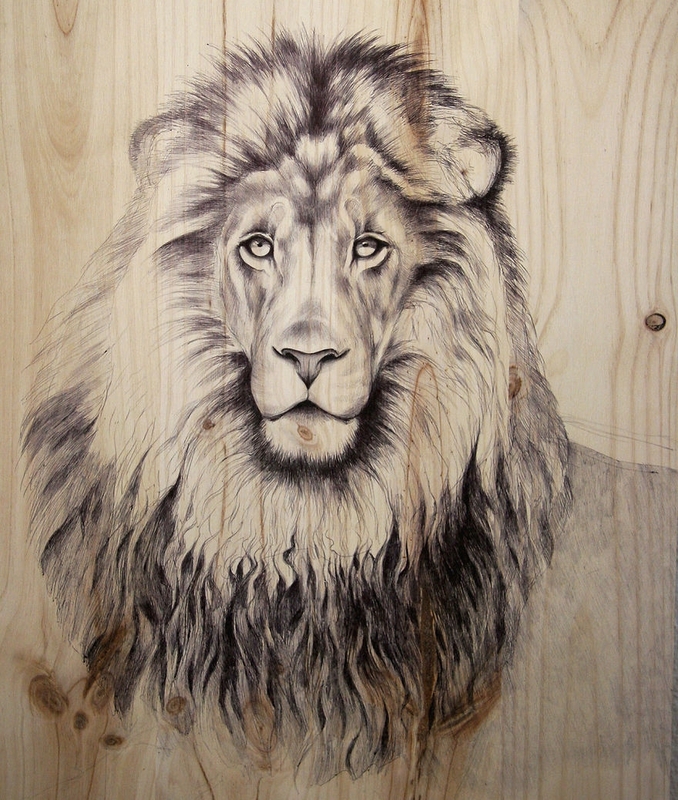 The wood gives the finished drawing, a texture that really enhances the final effect, by giving it depth and layers. Experimenting with different material for backgrounds, can really bring something new and fresh to your art, without the extra work of having to create it. Tortuga pen, ink and marker on recycled wood. 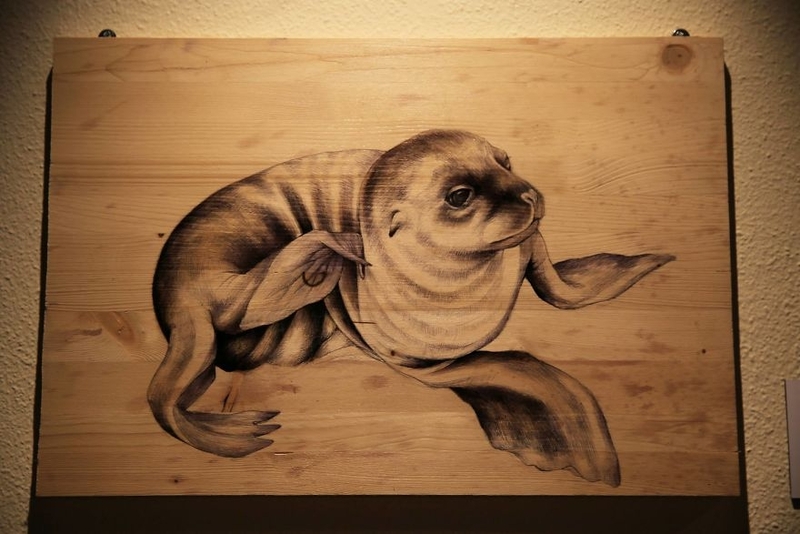 Seal pen on recycled wood. 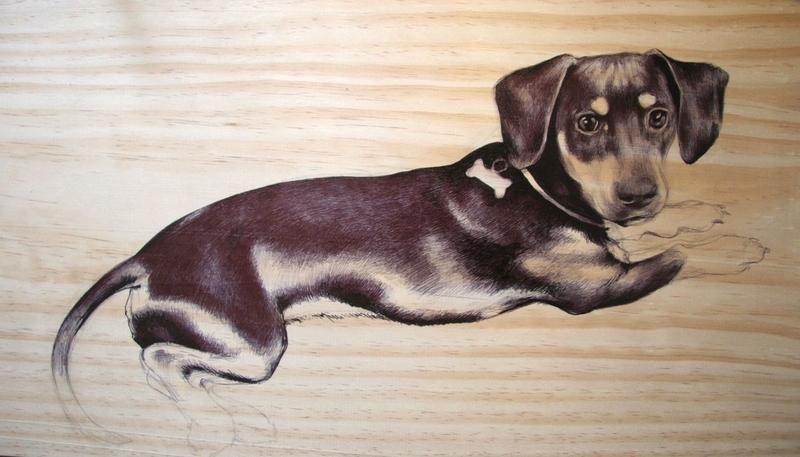 Dachshund pen on recycled wood. 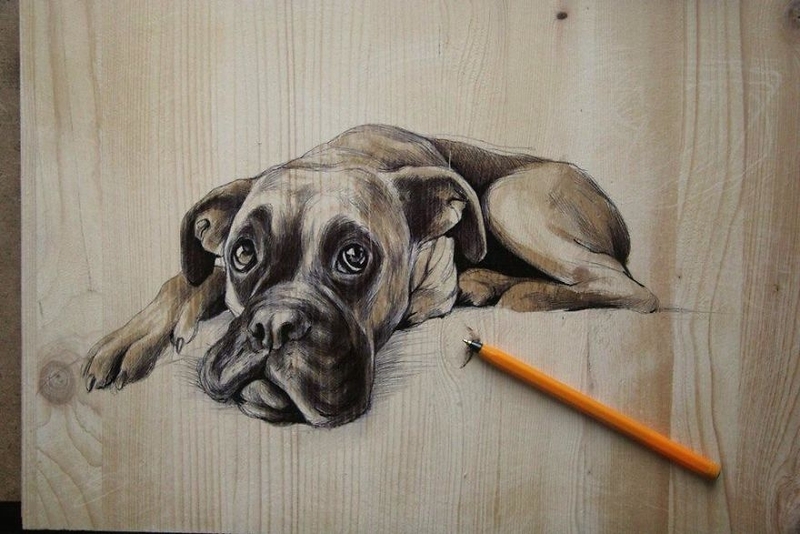 Dog pen on recycled wood. 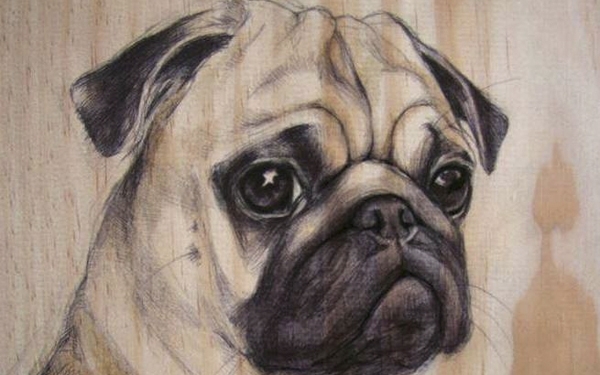 Pug pen on recycled wood. 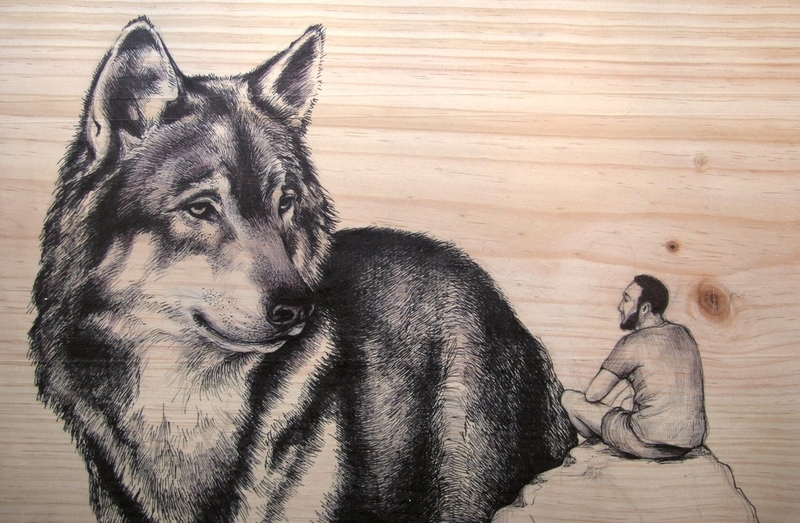 Wolf and man pen, ink and marker on recycled wood. 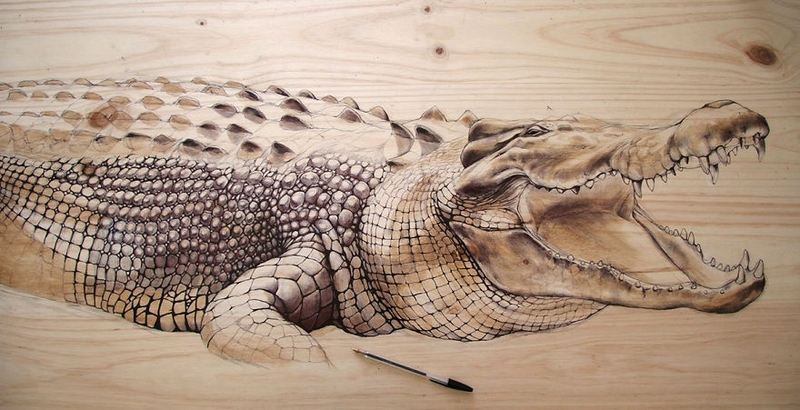 Crocodile pen and ink on recycled wood. 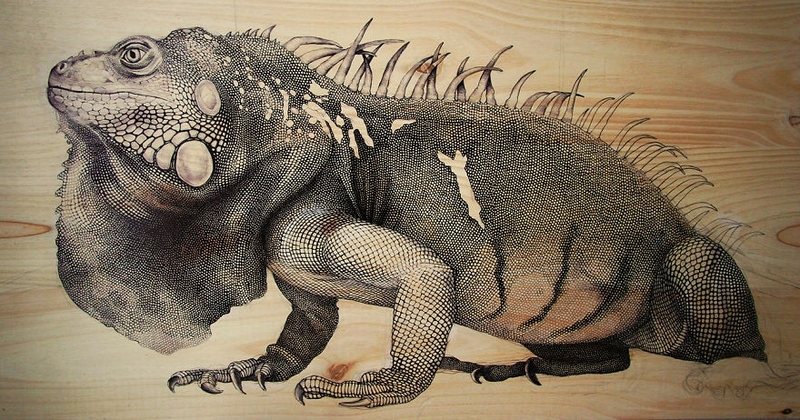 Iguana pen and ink on recycled wood. 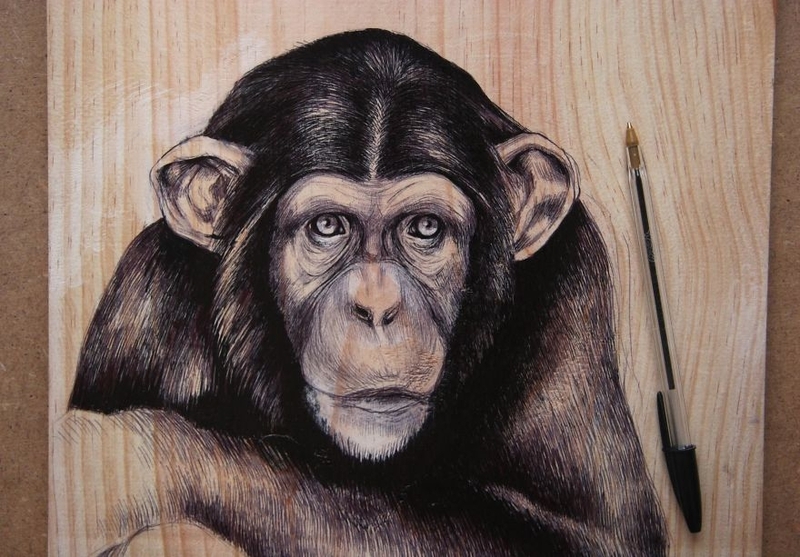 Monkey pen on recycled wood. 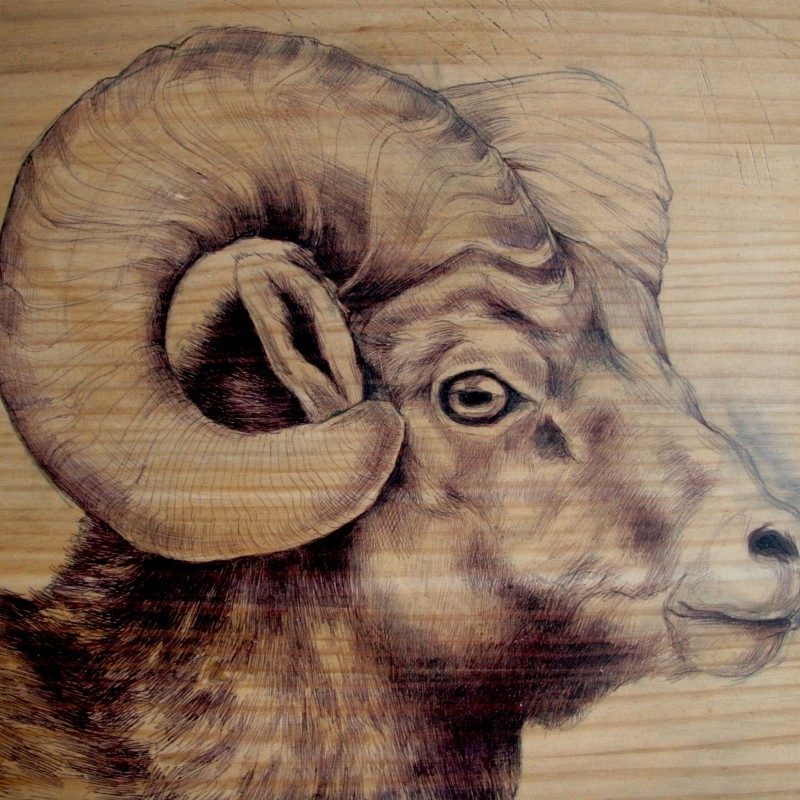 Ram pen on recycled wood. Studio Madrid Iguana pen and ink on recycled wood. 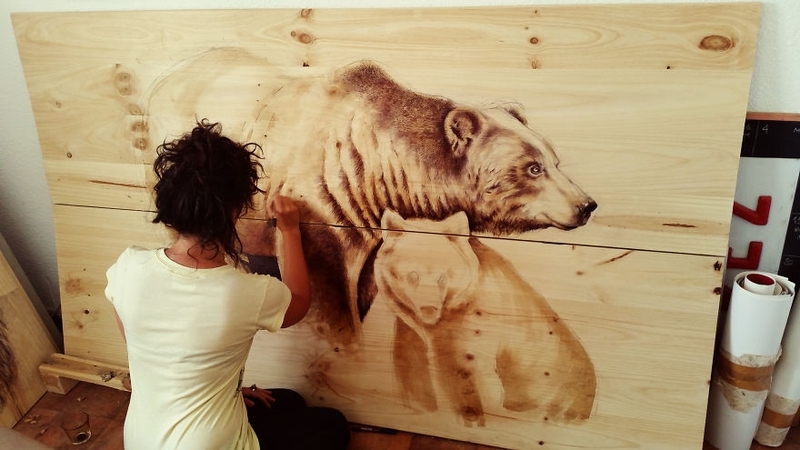 Studio Madrid Bears pen and ink on recycled wood.